These snaps are awfully small, I can barely see them. 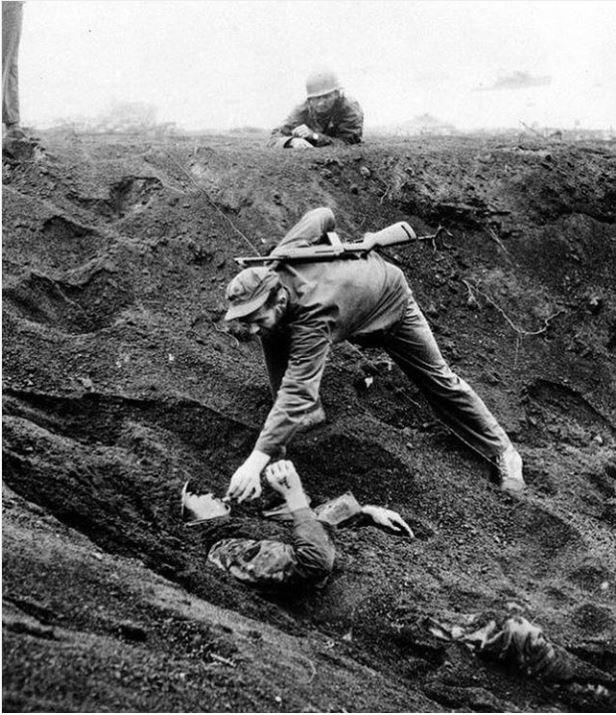 He was the first POW taken on Iwo Jima. 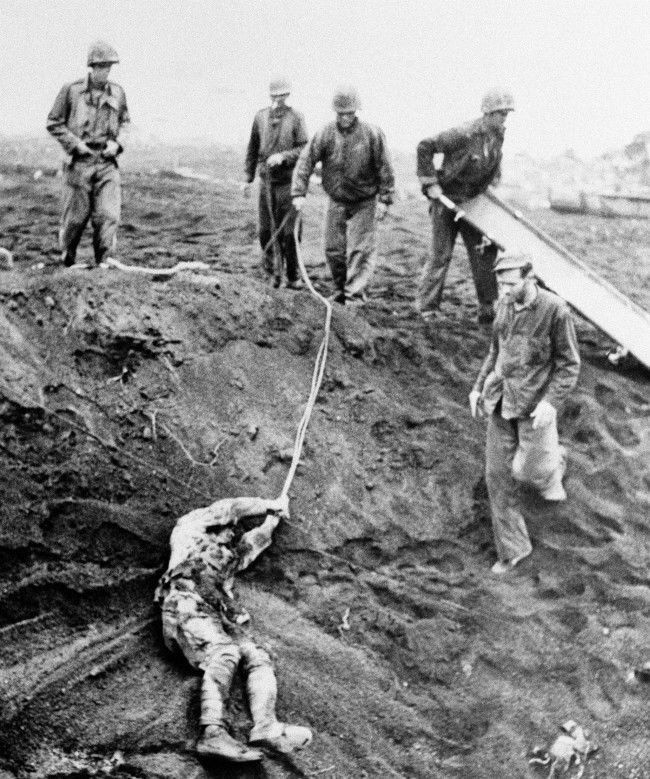 He had managed to play dead for a day and a half in a shell crater that the Marines were using as a foxhole for a day and a half. Apparently, a grenade landed close to his hand and he knocked it away, giving up his game. He surrendered and was lifted out on a stretcher. Gives a nuanced meaning to the phrase kiss my ring.